As MotorStorm and OnRush’s Evolution Studios falls apart, we investigate whether there’s any hope left for the arcade racer. It finally happened. Even after its death as a Sony studio and divine resurrection as a branch of Codemasters in 2016, Evolution Studios is gone. Codemasters’ eleventh-hour intervention was already an incredible boon for the studio, but with the senior staff – including designer and face of the studio Paul “Rushy” Rustchynsky – let go, Evolution has seemingly been melted down into a support arm for the wider development house. With one of the few prominent developers in the genre dismantled, what could this mean for the arcade racer? In 2016, it made sense for Codemasters to pick up Evolution, whose Dirt and GRID series were moving closer to racing sim (simulator) and Evolution helped fill a sudden gap in their racer-only repertoire. In 2018, though, its dismantling makes sense as well. Despite being a common genre in previous generations, the arcade racer has been going the way of the platformer in recent years; OnRush wasn’t an outlier but rather next in a chain of AAA arcade racers to release to an apathetic public. It’s a shame about OnRush, too, being such an ambitious take on an arcade racer that it doesn’t even include racing. Essentially a clever redux of MotorStorm, OnRush fused elements of Overwatch’s dynamic class system and support play, Rocket League’s candy-plastic aesthetic and rewarding, skill-based car control and even the autonomous bot players from Titanfall that serve a role separate from the players themselves. OnRush’s demise might have more to do with the opaque state of multiplayer gaming in 2018, but it’s still further proof that even the most novel take on the arcade racer can’t capture a wider audience in today’s market. So far during the PlayStation 4 and Xbox One’s lifespan, arcade racers have been few and far between. They’ve also been pretty disappointing. Let’s start with EA’s Need for Speed series, the arguable (modern) face of the genre. Having released two clunkers in a row – Need for Speed (2015) and the Fast and the Furious-styled Need for Speed: Payback – interest in the series is at an all-time low. Among other issues, this is at least partly due to intrusive online practices – Need for Speed (2015) required a constant internet connection while Need for Speed: Payback focused its entire progression system around loot boxes. As the main arcade racer in gaming today, EA’s continued mishandling and shameless exploitation of the franchise helped push the spotlight entirely onto racing sims and ‘sim-lites’ or ‘sim-cade’ titles (which are exactly what they sound like). Admittedly, this has been largely earned. Even disregarding the Forza Motorsport and Forza Horizon series – both of which cover most of what the average car enthusiast would want in a racing game – racing sims have seen a genuine resurgence this generation. There’s Slightly Mad Studios’ Project CARS and its sequel; Codemasters’ swerve from arcade to sim with Dirt Rally and Dirt 4, as well as its ongoing F1 series; Gran Turismo Sport as the PS4’s premier racing title; Evolution’s odd pseudo-sim DriveClub that didn’t sit neatly in either camp; the dedicated PC-centric sims Assetto Corsa, rFactor and iRacing; and then there’s the unconventional sims like Spintires, Wreckfest and the very-literal Truck Simulator titles. I’m sure I’ve missed at least ten or so; it’s been an avalanche that’s eaten up most of the arcade racer’s original market share. Back on topic: aside from the regular Need for Speed releases, arcade racers have been rare. Ubisoft released a few of them, though: both The Crew titles and the ongoing TrackMania series. The Crew is an interesting case, going the usual Ubisoft route of cramming everything possible inside a single game. For one, The Crew’s defining feature is its gigantic open-world, a hallmark of Ubisoft’s largest in-house releases. It’s rare to see an entire premise summed up as succinctly as its tagline: “the entire United States is your driving playground.” Apart from this, The Crew uses a flexible driving model that can be configured to play closer to an arcade racer or closer to a sim – theoretically appealing to a wide audience – and The Crew 2 adds boats and planes to the mix, too. While I won’t dismiss the quality of these games, The Crew can come off as overcompensating, wringing out whatever interest there is in arcade racers with the giant-est version of it. On the other hand, it’s an approach that would genuinely improve the appeal of an otherwise dimming genre, adding a massive open world and an exhausting amount of content to emphasise value above all else. As the arcade racer loses value in the eye of the average consumer, it’s a smart play. Ubisoft’s TrackMania series, meanwhile, has enjoyed quiet success. With regular releases over time – the latest being TrackMania² Lagoon in 2017 – TrackMania keeps a dedicated fanbase with its track editor as a main feature. Nevertheless, it’s a quiet series that rarely gets much attention outside its own community. Sony’s WipEout series, an intensely-fast arcade legacy since the original PlayStation, is in a curious place. Its developer Sony Studio Liverpool (previously Psygnosis) was disbanded and shuttered in 2012 but Sony is continuing the series with remasters, the most recent being the WipEout Omega Collection in 2017. A 4K and VR-supported remaster of WipEout HD (itself a remaster of the PSP titles) and the PS Vita release WipEout 2048, the Omega Collection is, like HD and the portable releases, primarily a technical showcase; a game that will make players “ooh” and “aah” over their console’s pretty graphics, justifying their purchase – though they’re always wonderful games in their own right. While we’re on the subject of dead arcade racers: Nintendo’s F-Zero has been a no-show since the GameCube with no return in sight, Ridge Racer’s last entry was in 2012, Out Run’s in 2006 (with a reworked version in 2009), Sega Rally’s in 2008 (with a console release in 2011), and Midnight Club is dead and buried as Rockstar’s development times extend longer and longer since the beginning of HD development. The genre isn’t exactly starved for beloved series that crave a comeback. There’s Mario Kart and the ‘kart racer’, too, though this depends on the scope of ‘arcade racer’ since they usually occupy their own little subgenre and still sell as well as ever. Mario Kart titles are a Nintendo mainstay and always earn strong sales, with Mario Kart 8 Deluxe for the Switch selling even better than I’d imagined, passing 9 million sold in little over a year. Sega’s All-Stars Racing titles sold well across a variety of platforms, too, with the follow-up Team Sonic Racers (wherein the hedgehog who’s famous for running fast inexplicably drives a car and so do his friends) set to release later this year. It’s hard to say if it’s because they’re less common or because they rely more on branding and existing characters, but kart racers are clearly seen differently by the wider audience. It all begs the question: has the success of both the kart racer and the racing sim meant that the middle ground between these two – the arcade racer – has vanished this generation? Where kart racers are the most relaxed and wide-reaching and driving sims aim at enthusiasts chomping at the bit for realism, arcade racers have lost their place in the spectrum. Now that consoles, PCs and even mobile devices have made photorealistic cars a reality, ‘realistic’ gameplay has become far more attractive to the wider audience. When games offer suites of cars that both look and handle realistically, maintaining the car enthusiast fantasy and keeping that uncanny valley ‘canny’ has become all-important in the eye of the average consumer. Is there any hope left for the arcade racer? Surprising absolutely everyone, EA managed to restrain itself for a while and didn’t dabble in remasters or re-releases until 2018’s Burnout Paradise Remastered. As such an anomaly, despite the previous doom and gloom, this may reignite hope in a brand new Burnout. To really get on board with this conspiracy and start connecting all the dots across your pinboard with coloured wool, first you have to run through the history of its developer Criterion Games and successor Ghost Games. Following Burnout Paradise’s original release in early 2008, Criterion moved onto the Need for Speed series with Need for Speed: Hot Pursuit in 2010 and Most Wanted in 2012. However, the studio was significantly downsized in 2013 from approximately 90 members to only 17, and most moved over to EA’s new Need for Speed-focused studio Ghost Games. Since then, Ghost Games, as sole developer of the franchise, has released three titles that have been progressively dropping in quality: Need for Speed Rivals in 2013, which was based heavily on the two Criterion releases with major online integration; Need for Speed in 2015, which required online access and released to mediocre reviews; and Need for Speed Payback in 2017, releasing to even worse critical reception with a loot box-based progression system and Fast and the Furious fanfiction for a story. As the racing series continues its nosedive into Sonic Team-esque mediocrity, Burnout Paradise Remastered, especially as EA’s only remastered title so far, could be a litmus test for a series return. While the Need for Speed brand is on ice, the revival of a beloved series and the potential for a nostalgia-fueled hit makes sense. The aforementioned WipEout series can be seen in a similar light (if you’re capable of limitless optimism), with Sony keeping the series alive and in the public eye until it can return to it at a better time (commercially). Even if the Burnout or WipEout series don’t see a revival this generation, the arcade racer, like many genres, will still see some love from the indie scene and lower-budgeted ‘AA’ publishers as it has over the last few years. 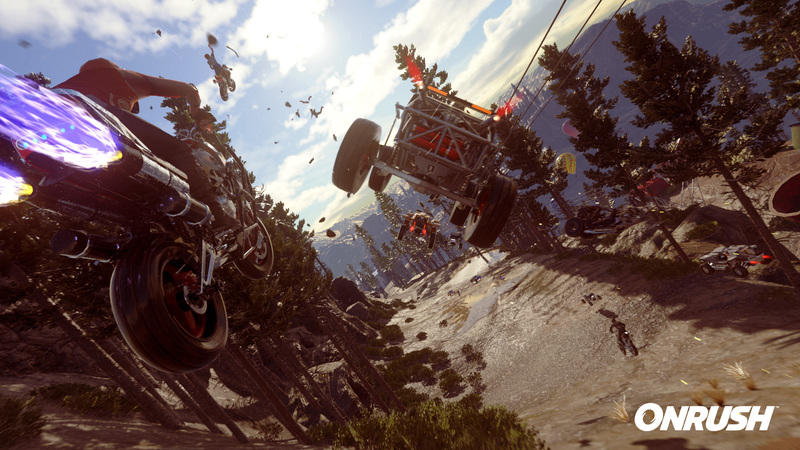 2018 alone will see a handful: Dirt-esque rally game Gravel, Trailblazers, GRIP: Combat Racing, Danger Zone 2, the successor to Burnout’s ‘Crash Mode’ developed by Criterion’s founders, and indie title Distance is set to leave early access later this year as it heads to PS4. Reception of these smaller titles is often mixed, but there’s a clear interest from developers out there in keeping the genre alive and its dedicated audience fed. Like any genre, it feels its highs and lows but there’ll always be an audience, a demand. Even as the innovative OnRush fails and Evolution Studios is finally picked clean, it’ll return. Eventually.